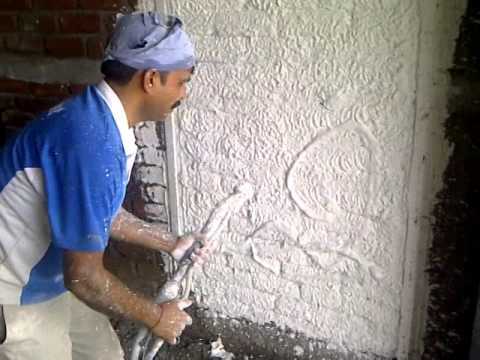 It is used to plaster with a machine on the surface with high speed (200 square meters per day). This is a part of light weighting product group and hence it is considered in the group of modern building materials. This mortar is sprayed by a machine in the world, although it is possible to use it manually. In addition to high speed performance, this mortar has thermal insulation, humidity insulation and sound insulation and its specific weight is less than the normal plaster. This product provides the possibility for the plasterer to work more time on the plaster and form it is a desired state due to high setting time (3-4hours). Wear resistance, scratch resistance, minimal waste, single layer, harmless for the skin, flexibility, fire resistance, no need for resin coating before painting are its another features. Its vapor diffusion coefficient (micro) is about 8. Its thermal conductivity value is W/MK 0.35. This product can be used as a single layer on the various surfaces such as brick, porous concrete blocks, concrete surfaces, light concrete blocks, cement screeds and even foam. This product is primary and secondary coats and applicable for all large and medium projects. Suitable adhesion, appropriate coating without need for the additives, retardation, minimal waste and eliminating the additional operation are the remarkable characteristics of this product .This mortar is miscible with cold water (not tepid or warm water) and while using, any other additives aren’t added to this product.